The weather outside might be frightful (40 degrees and rainy – lovely), but inside I am peeling off layers and blending up cold beverages to stay cool in my cozy Boston apartment. Final exams are right around the corner for all of my loved ones in college and grad school, and that means snacks need to be quick, easy, and somewhat sinful tasting. 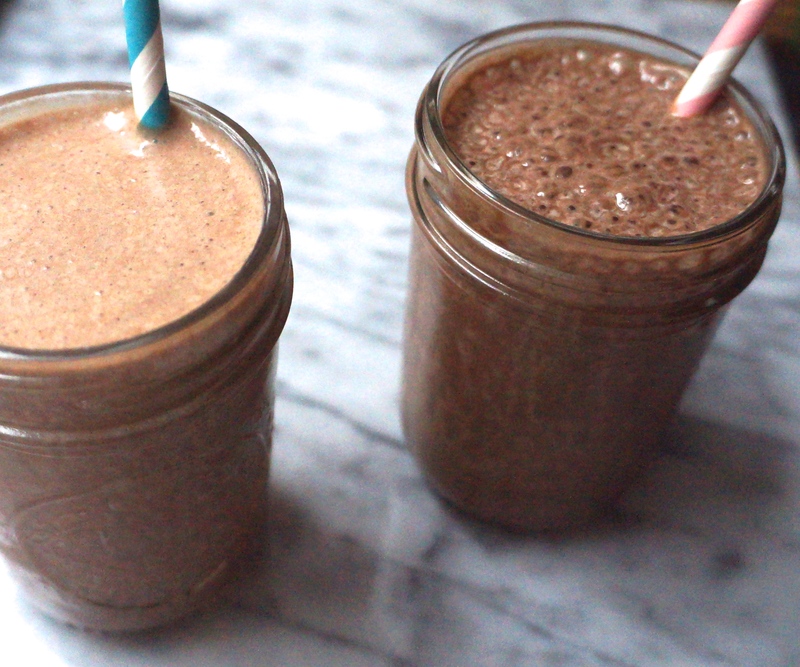 This Chocolate Peanut Butter Milkshake is energizing and filling, so you don’t have to worry about your stomach rumbling embarrassingly on the quiet floor of the library. 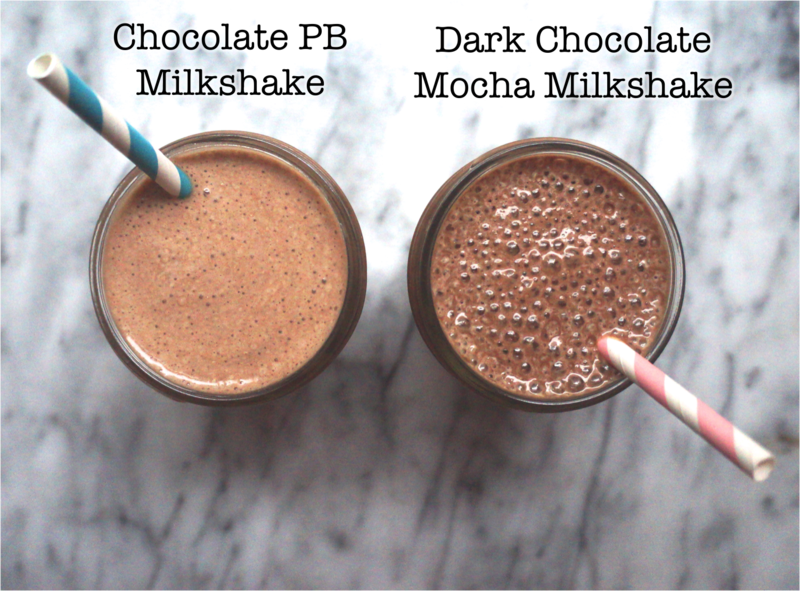 For something rich and caffeinated to power you through a late-night study session, try the Dark Chocolate Mocha Milkshake recipe. It has the deep chocolaty taste of your favorite flavored coffee drink, without the stomach ache or sugar crash from those liquid calorie bombs. Either way, both luscious milkshakes are made from nourishing whole foods and contain no added sugars, which means you won’t have to worry about the dreaded finals week bulge. So to my friends, sweating alongside me in their overheated apartments while churning out research papers, and to my brothers, making their way through the balmy 70 degree Texas weather to and from the campus library, this post is for you. 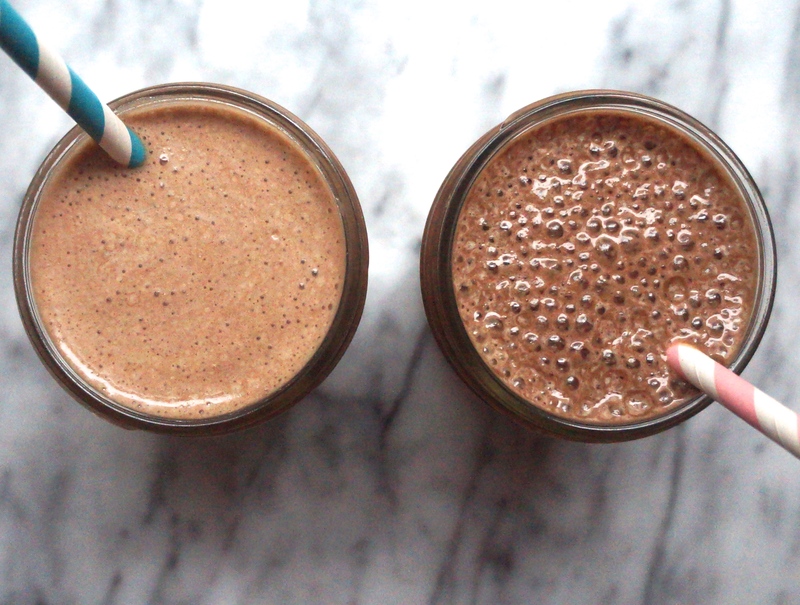 I tried Your PB Chocolate Milkshake and it was amazing!!! Definately going to be making this a few times a week! Thank you for sharing the recipe! Also I’m sure my son will love getting this in his school lunches too. Thank you so much, Farah! 🙂 I’m so glad you enjoyed it!! I also try and minimize my intake of processed sugar, preferring to sweeten with fruits.